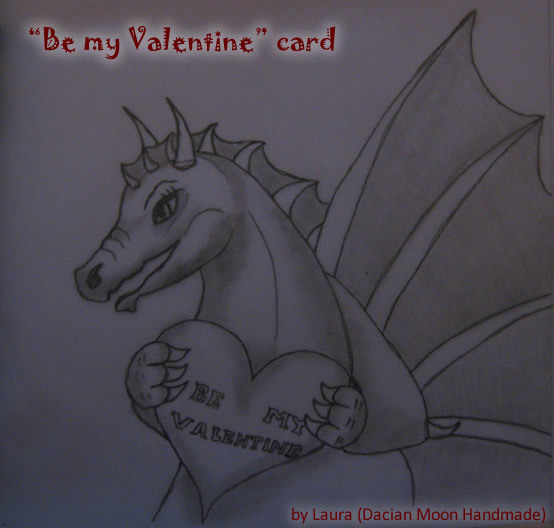 Laura from Dacian Moon Handmade will show you step-by-step how to make this. 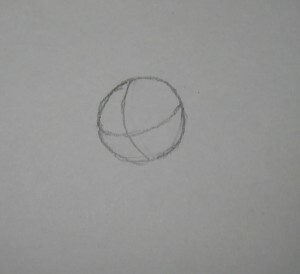 Let’s start with one simple circle (is not necessary to be perfect). 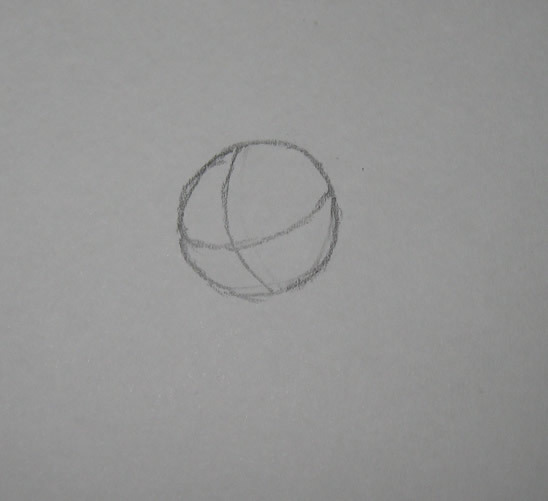 Now draw the X’s below. 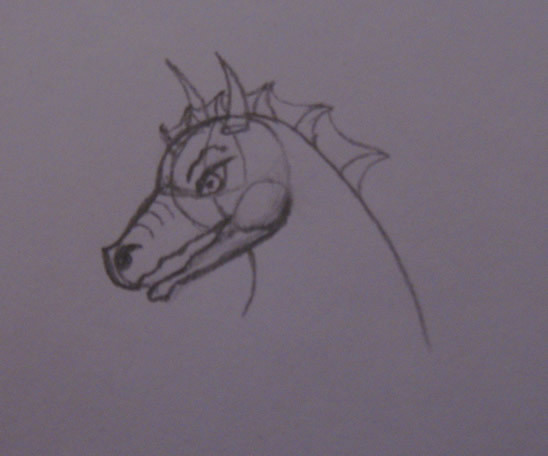 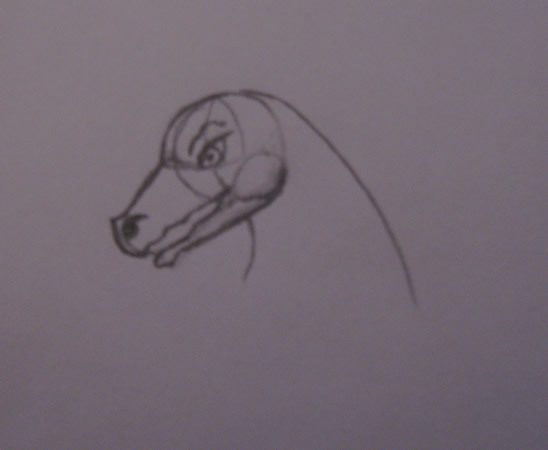 We’ll draw the basic parts of her face: eyebrow, jaw and snout. 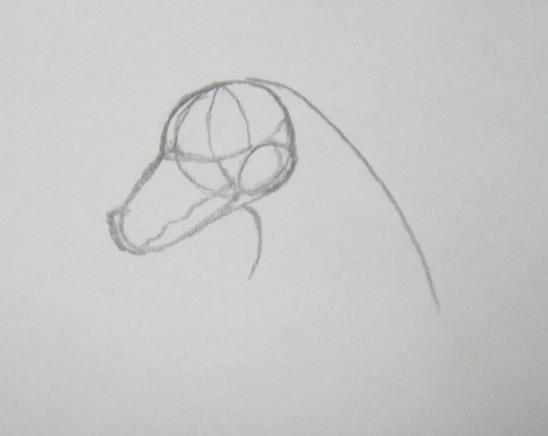 Now outline the head, over the new added parts, and then add the neck. 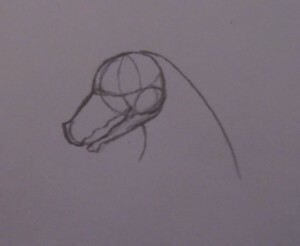 The mouth should be from the edge of the snout to the jaw. Let’s give her life: add the eye. 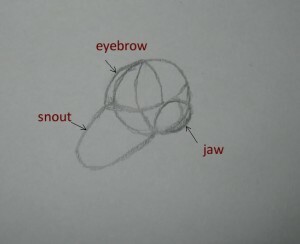 It should be drawn keeping the shape of the eyebrow. Add definition to the nose, the jaw and the mouth. 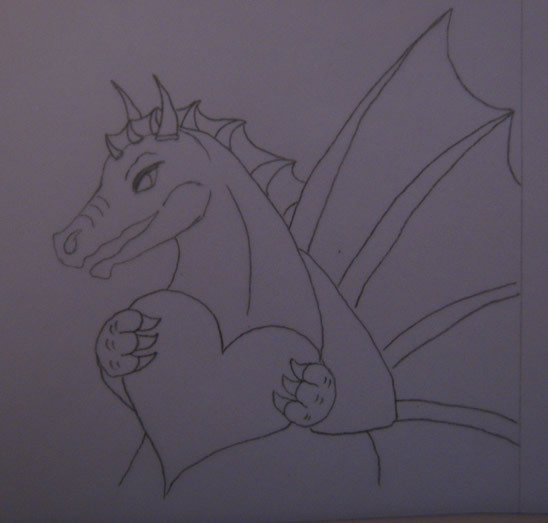 The basics are done so we can start adding details. 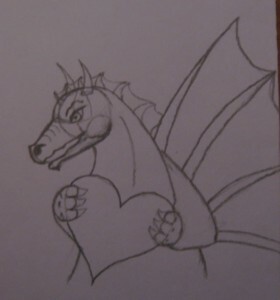 Let’s give her horns and a little crest. Her head is ready but feel free to add as many details as you want – this will make your dragoness one of a kind. 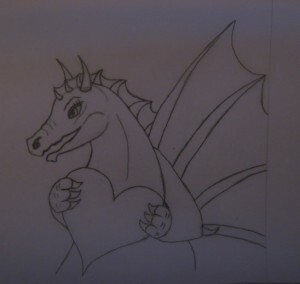 Let’s complete her with some wings. 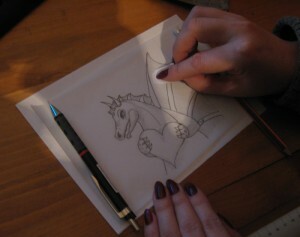 We draw it the same way we drew the crest, just bigger. 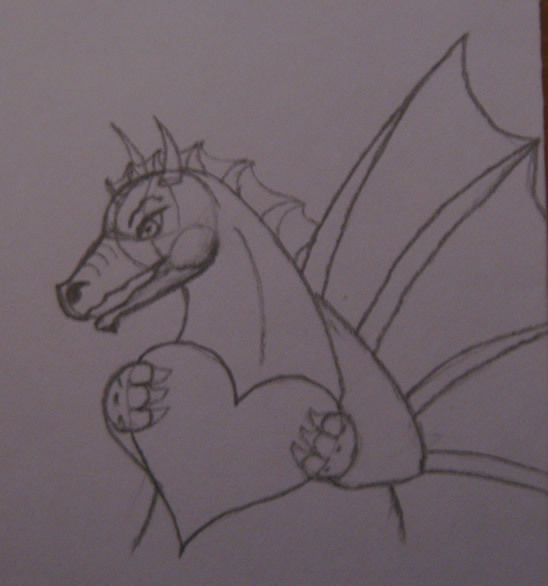 Of course, she has claws. So, we draw them. Also, draw her crest to go down over her back (between the wings), and add the last details. 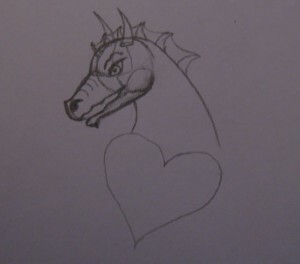 Now our sketch is ready. 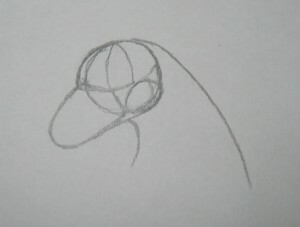 Clean the unneeded lines. If you want you can copy it on a new paper (by placing it up against a window and tracing it). You’ll see that after cleaning… the lines are too thin… so outline and emphasize the important features, especially the eye. 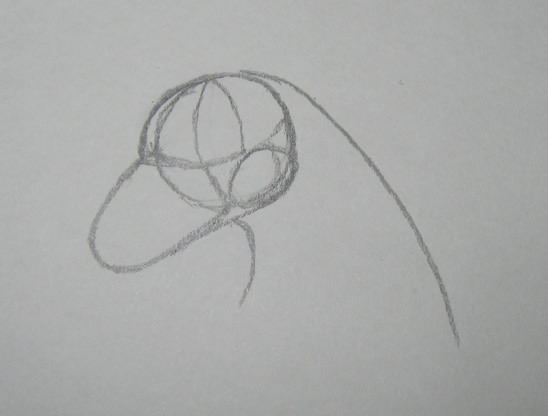 Apply shadows with thin and light lines. Now, with a little piece of paper, smudge the shadows. 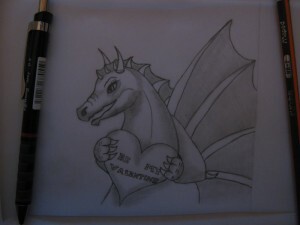 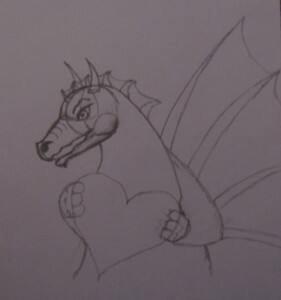 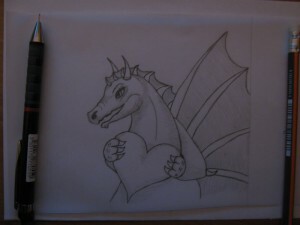 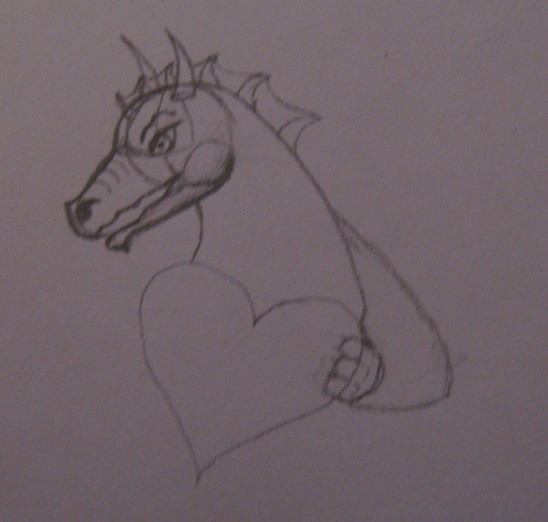 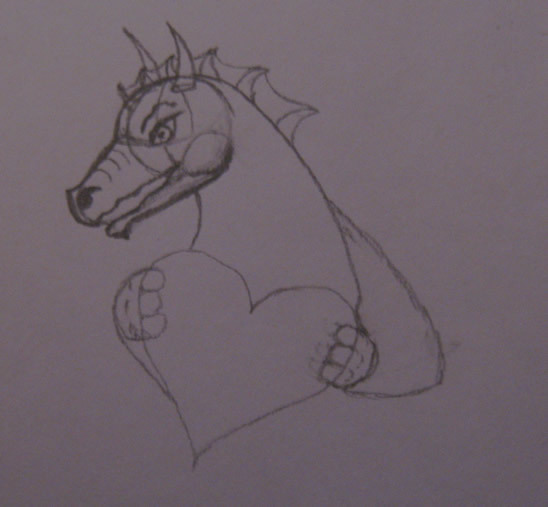 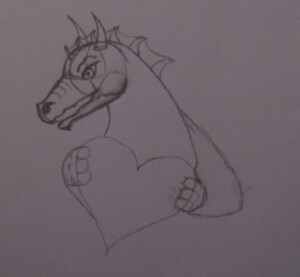 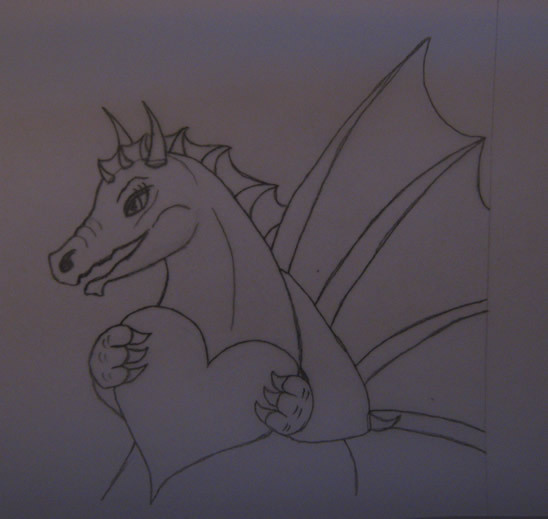 Add “Be my Valentine” on the heart and our dragoness is ready. 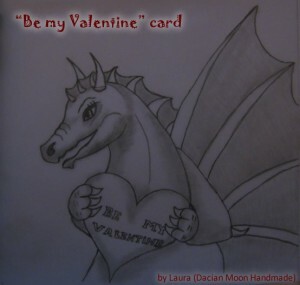 Give this handmade Valentine Dragoness to someone special this Valentine’s Day. They will love it.